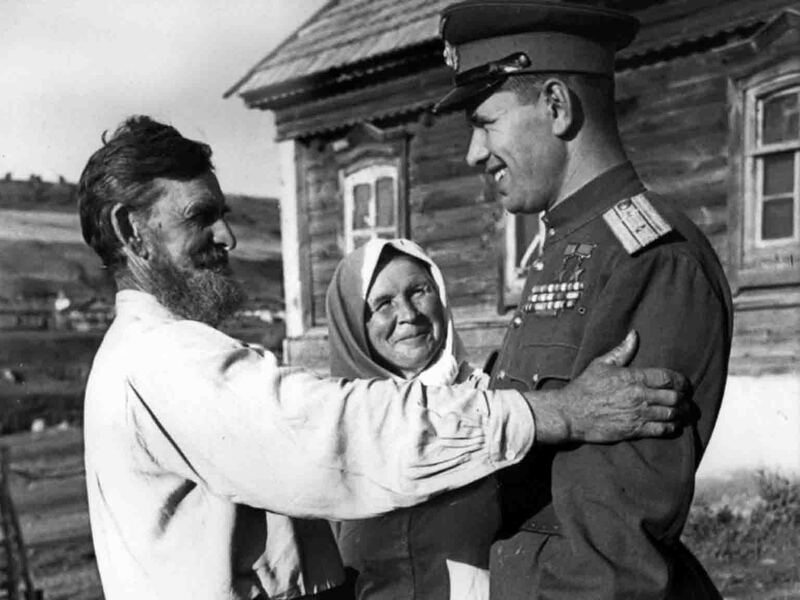 Return from the front of the Russian air ace, twice Hero of the Soviet Union Nikolai Mikhailovich Skomorokhov (1920-1994) to his native village of Lapot and a meeting with his parents. N. Skomorokhov 605 sorties, conducted more than 130 air battles, shot down 46 enemy aircrafts personally and 8 – in the group, the 7th result in the list of Soviet air aces. N. Skomorokhov himself was never wounded in the whole war, he was never shot down. The hero of N.M. Skomorokhov fought on Lavochkin planes: LaGG-3, La-5, La-5FN, La-7.